Last week, the Bureau of Labor and Statistics (BLS) reported that the unemployment rate for Post-9/11 veterans remained at 5.4 percent, unchanged from May to June 2015. Among all veterans, unemployment rates decreased from 5 percent in May 2015 to 4.4 percent in June. The national employment rate declined from 5.5 percent in May to 5.3 percent in June. 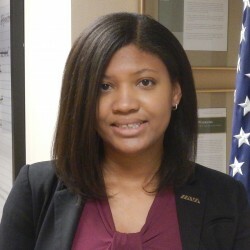 Over the past few months, IAVA’s research team has focused on exploring the monthly employment numbers provided by the Bureau of Labor Statistics in-depth. While understanding where the unemployment numbers come from and what they mean is important, there are other labor force measures worth tracking as well. 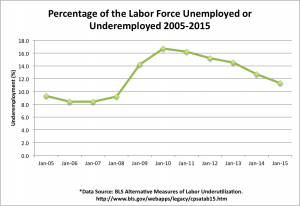 This month, we would like to discuss the importance of measuring underemployment and recent trends in the number of underemployed persons in the U.S. While there is no single agreed upon definition of underemployment, it refers to members of the workforce who are underutilized in their current jobs. This can mean having a higher education level than is required for their current position, having more experience than is required, or seeking full-time work, but only working part-time. The Bureau of Labor Statistics keeps track of some of these workers by measuring two categories – “Involuntary part-time workers” and “Discouraged workers.” Involuntary part-time workers are defined as those who prefer full-time employment, but are working part time because their hours were cut or they could not find a full-time job. Discouraged workers are those not currently looking for work because they believe there are no jobs available for them. 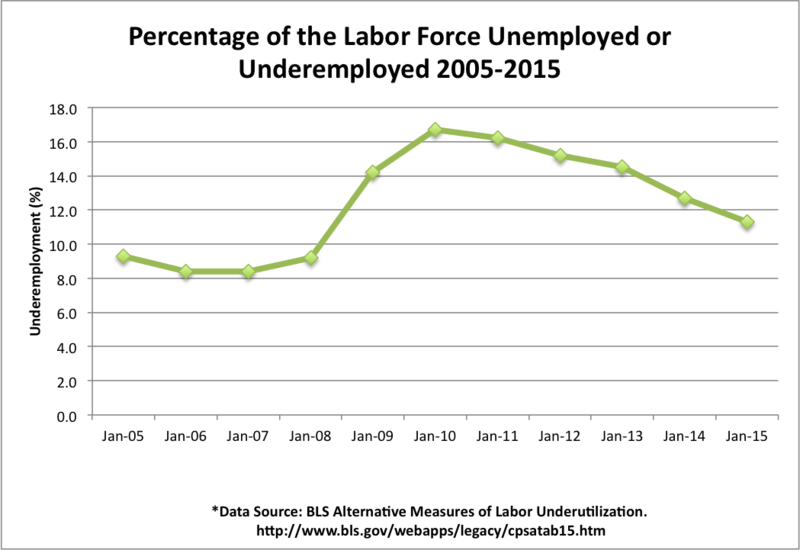 The figure below shows the percentage of the labor force either unemployed or underemployed from January 2005 to January 2015, including those in the above categories. There is a lot of focus on unemployment among veterans, but we need to keep in mind that veterans may be struggling with underemployment as well. In one study, while 43 percent of workers reported being underemployed, those who had previously served in the military reported more underemployment. Navy veterans reported being underemployed 19 percent more often, and Air Force veterans reported being underemployed 26 percent more often compared to all U.S. workers. For the newest generation of veterans, underemployment may be a significant challenge. In IAVA’s 2014 Member Survey, about one-third of employed respondents indicated that their current position was not an appropriate professional fit, given their level of education and years of experience. Of those who reported being dissatisfied with their current job, the majority (61%) said that this was because the job did not use enough of their skills and abilities. While many initiatives focus on veterans gaining employment as part of their transition to civilian life, there is little focus on the quality of that employment. For long-term career success, veterans must be employed in positions that are an appropriate professional fit, fully utilizing their skills and abilities. For specific policy recommendations aimed at supporting veterans in the workforce, see IAVA’s 2014 Policy Agenda.